The blood is warm, the sulphur is burning, the tales will be told, the Apocalypse Minor is imminent. My name is J.G Clay. Rather, my pen name is J.G Clay. I like it. It’s snappy, stylish and a bit mysterious. I wrote and released a book called ‘Tales of Blood And Sulphur: Apocalypse Minor’. Again with the snappy stylish thing. It’s a great title. It could have been so different. Somewhere out there in an alternative Universe, it could have been ‘Bozo Nightmares’ by Steven Singh. I’m glad it wasn’t but this is one of those little stories woven into the backstory of ‘Tales of Blood and Sulphur’. There are (probably) a hundred more anecdotes but to be honest, I can’t remember them all. Tracing the origins of a novel is pretty easy. Get an idea. Sketch out idea. Write idea. Rinse and repeat. Nice, neat and infinitely easier to write about when someone asks for a guest blog on the history of your book. 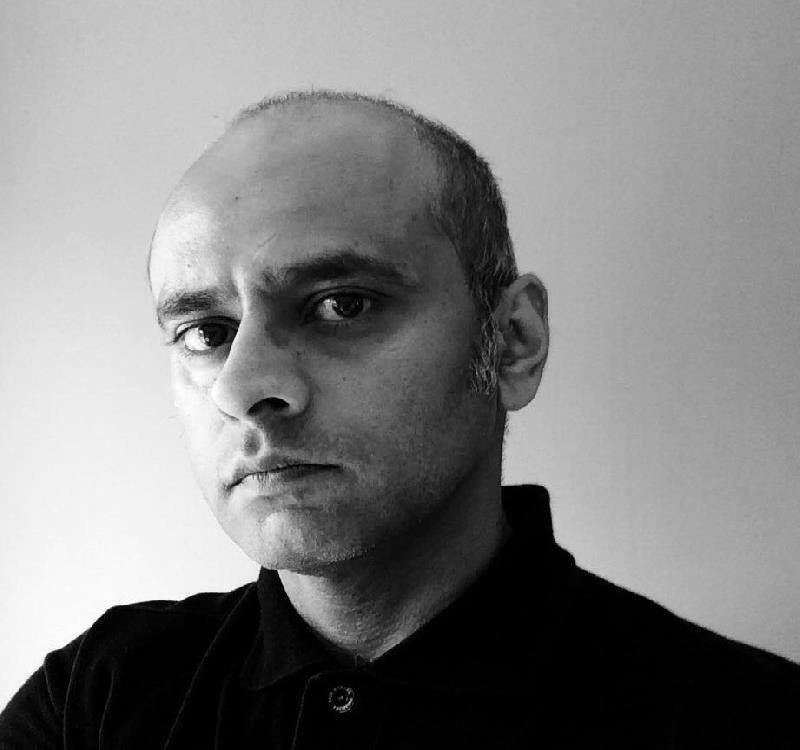 A short story collection is a different matter altogether. For instance, I can tell you that ‘On The Beach’, the first of the Tales, was originally written in 1998, that ‘God Bless George A. Romero’ started life as the day to day blog of a zombie holocaust and that one of the stories I dropped for what would become my debut was a rather pleasantly titled piece called ‘F**k Art, Let’s Dance’. But the exact dates of what happened where and with who are a bit elusive. SO, a potted history is all I can manage. Four of the original seven stories that made up Tales of Blood and Sulphur were pieces that had been hanging around in one form or another since my late twenties. I’ve been writing since I was about thirteen; not very well admittedly but writing nonetheless. The idea of dusting some ‘Golden Oldies’ and retooling for a forty year old had a lot of appeal (mainly because it didn’t involve having to think up new stuff). I got to work polishing and honing this old stuff around February 2015 with the vague idea of expanding on the sparse pieces I had. But, as ever with this writing thing, something happened. Not only did I enjoy what I was doing, but new ideas reared their head. The floodgates were opening. They haven’t stopped since. The newbies (as I like to call them) - ‘Legally Dead’, ‘LLTC (Lucifer Loves The Clash)’ and the aforementioned ‘The Writer’s Friend’ - were all finished in about two weeks. Some other stories also cropped up but they were put to one side for a rainy day, a decision which I’ve always been happy with. One of those bonus tracks eventually went on to become the Doctor Who-ish ‘The World Stops When The Smiling Men Cry’. ‘F*ck Art, Let’s Dance’ and a story exploring colonial mind-sets and racism called ‘Mizungo’ were also born during this time. At the time of writing, neither one had has appeared in print. I’m sure that one day they will. Stories in hand, I put the book on Amazon and Createspace and released ‘Tales of Blood and Sulphur’ on 13th May, 2014. It sold a few copies, got some great reviews and also attracted the interest of a publishing company called Booktrope, the same publisher I am still with. Now the fun starts. Armed with an editor, proof-reader, cover designer and Dane Cobain, my book manager, ‘Tales’ was ready for a new lease of life. With two pairs of fresh eyes on the case, the original seven stories expanded to ten plus a ‘wraparound story’ to pin everything together. The ‘wraparound’ was suggested by my editor Christopher Nelson and it was a master stroke. Not only did it give the stories a framework to hang from but it also gave me a new character to play with in the form of Null, the mystic and not quite human storyteller. He’s my crypt-keeper, the man (ish) who will bring you a new ‘Tales’ every year as well as taking payment in souls. 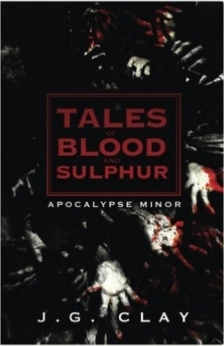 With a stunning cover, fantastic editing and proofreading, work was completed in short order and ‘Tales of Blood And Sulphur: Apocalypse Minor’ was unleashed onto the public in July 2015. Sales have been moderate but the reaction has been fantastic. More importantly, that first release has given me back the passion and hunger for storytelling, something that I’d lost in the years previous. I wonder whether the passion would have stayed the same if I had gone with the original title. Somehow I doubt it. J.G Clay is definitely a Man of Horror. There can be no doubt. Putting aside the reverence he has for the horror greats, such as King, Barker, Herbert, Carpenter, Romero and Argento, there is another fact that defines his claim for the title of the 'Duke of Spook'. He was born on Halloween night. By a quirk fate, it was also a full moon that night. Co-incidence? Here at Clay Towers, we don't believe in coincidences.